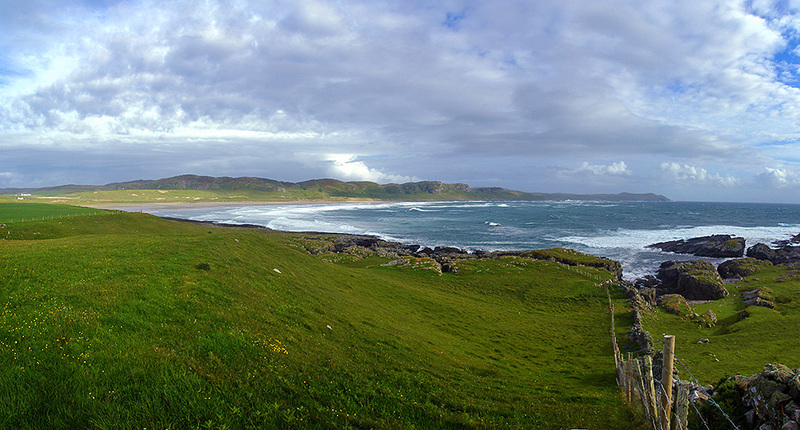 A panoramic view of Machir Bay on the west coast of Islay, looking south from near Coull at the northern end of the bay. This entry was posted in Beaches, Cloudy Weather, Landscape, New Post and tagged Coull, Islay, Kilchoman, Machir Bay, Rhinns of Islay by Armin Grewe. Bookmark the permalink. Did you recognise that from the fence? You’re right, just looked it up, it’s from Jun 2009. I sometimes go through my archives to see if I can find something nice and came across the raw pictures for this panorama, so decided to create and post it.